Acupuncture in horses is a widely used technique! 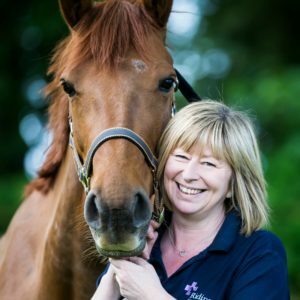 Ridings Equine Vets are proud to offer this service to our clients to complement many of the other treatment options for a variety of equine conditions. Acupuncture has been used in human medicine for thousands of years, it involves inserting very fine needles into specific parts of the body to prevent and treat disease. Research has shown a scientific basis behind the process and it has become a credible complementary therapy offered by GPs and physiotherapists. In animals, acupuncture can only be performed by veterinary surgeons that have undergone specialist training. Jenny has been trained in western veterinary acupuncture. This type of acupuncture is unique and only taught by a small number of places throughout the world. It takes the principles of traditional Chinese acupuncture and applies a more scientific basis to the process. It focuses more on the animals’ pain and trigger points than just needling the traditional Chinese acupuncture points enabling the treatment to be tailored to each individual. Any type of muscle soreness; particularly neck, shoulders, back and hindquarters. The procedure is not painful as the needles are very thin but it can be uncomfortable especially if the muscles are in spasm or painful. Occasionally the horse is given a mild sedative to enhance the effects of the acupuncture. If you think your horse may benefit from acupuncture please contact us for advice. There is also some further information on the information pages.